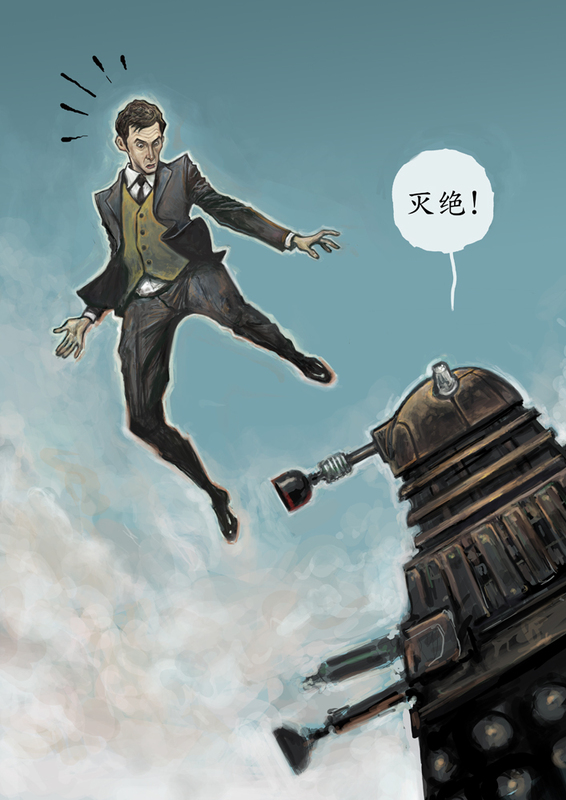 It’s pretty hard not to be charmed by the vibrant work of Sonny Liew. Over the past several years Liew has been a breath of fresh air with both his distinctive art style and solid storytelling. He contributed to the Flight anthologies before taking on the editor role in two volumes of Liquid City, a Southeast Asian comic anthology published by Image Comics. He also did work for DC, Marvel, Vertigo and SLG and is the recipient of both the Xeric Grant and Comic Album of the Year at the Utopiales International SF Festival. 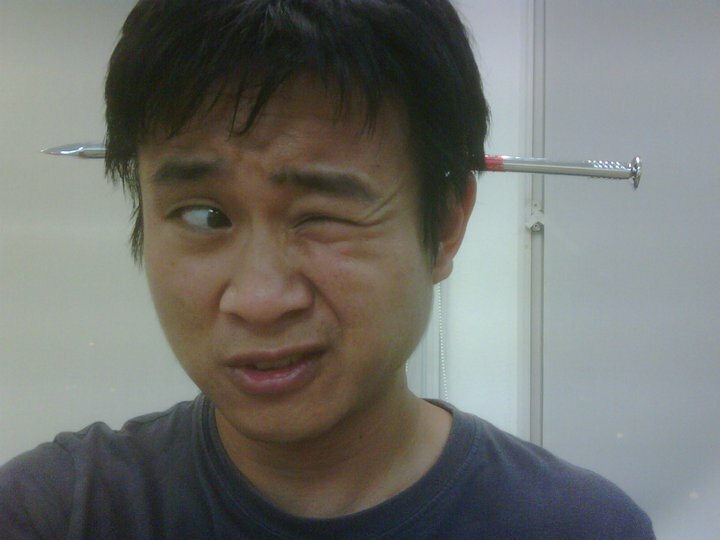 He was also the 2010 winner of Singapore’s Young Artist Award. His latest book, Malinky Robot: Collected Stories and Other Bits, collects several shorter works into a graphic novel that really is a must have for any fan of the medium. Sonny took some time before heading off to the Singapore Toys, Games and Comic-Con to discuss the new book and his work. I don’t know if you remember this, but over a decade ago I remember you showing me your sketchbooks when I managed ***** Video and you were at RISD, and one of the things that struck me immediately was that even at that time you had a distinctive style that was unique and instantly recognizable as yours. How do you think your style has evolved over time? Well the technical drawing skills have definitely gotten better, though I guess you always look back at work you did and see problems that need fixing. A couple of the stories in the collection were redrawn – quite a world of difference between the original and new versions of “Stinky Fish Blues”. I don’t know if there’s a stage you reach when the problems you see are just a matter of style, rather than just deficient technique – if there is, I certainly haven’t reached it yet. Style-wise… I guess I’ve had to adapt to different storytelling needs – certainly the Sense & Sensibility stuff was a departure from, say, Wonderland. So maybe there’s been an expansion of stylistic range to some degree. I’m always looking at other artists and seeing what elements could be adapted, whether its their line quality or the way they render facial features, just trying to make the drawings more interesting, more suited the needs of a particular narrative. Always trying to get looser; Dave McKean’s work in Cages being a touchstone, whilst somehow also holding on to the visual denseness of someone like Geoff Darrow or the late, great, Seth Fisher. How would you describe Malinky Robot? Malinky Robot is… stories that bring together things that I like about comics and storytelling. From a visual sense there’s the crumbling near-future cityscapes, the oversaturated street signs and characters in aviator goggles. The stories themselves have the kind of loosely plotted, slice-of-life narratives that I’ve always found engaging. Beyond that they’re stories about friendships, and the small moments of minor epiphanies and mysteries that rise up in everyday life. I wish I had a better elevator pitch version of it, it always feel like a long meandering ramble when I try to describe it, much like the stories themselves. If Malinky Robot was a fish it definitely wouldn’t be a shark. Are sharks even really fish? The book collects a number of short stories. Do you have any plans to tell a longer narrative either with these characters or something independent of them? I’ve been working on a longer graphic novel set in the Malinky Robot world for a while now, called “The Ballon Bomb Factory”; some of the sketches done for it make up a section of the collection. It’s undergone quite a few structural revisions; there were whole sections involving the main characters Atari and Oliver caught up in some imaginary future war, but that’s been jettisoned in favour of some time travelling hi-jinks. Mainly I think it’s a matter of getting all the elements of the story working together in a way that feels intuitively right. I think I’m close to that, but it’s been tricky finding the time to do the actual drawings though; not exactly easy to convince publishers to give you an advance for hard-to-categorize title, so its something I have to work on in-between other projects. I always remember an essay by Raymond Carver discussing influences – he made a distinction between the things you read, watch and hear from books and other media, and the ones closer to your actual so-called real life – friends and family especially. I think that’s pretty much how I feel about things. 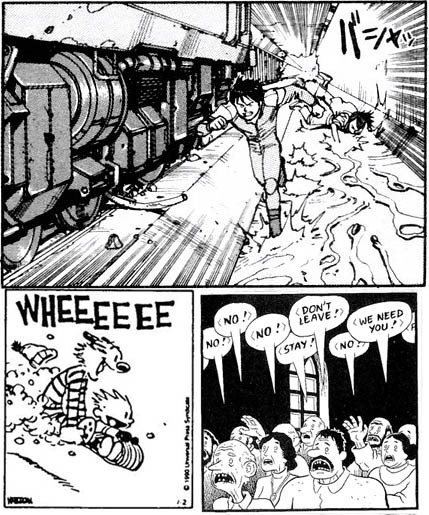 Just in terms of comics, Bill Watterson, Chester Brown and Katsuhiro Otomo were probably the ones I looked to most when I first started working on comics. Watterson for his humour, heart and beautiful line work, Brown for his storytelling rhythms and Otomo for his amazing sense of cinematic storytelling and composition. As for the real life stuff, I guess they’re especially pertinent for stories like Malinky Robot where I’m doing both the writing and the artwork. Nothing directly autobiographical, more to do with the attempt to capture certain textures of experiences, the way they felt, smelt, sounded. And in terms of your storytelling instincts I guess – you tell the kind of stories you believe in, and those beliefs probably come from the way you percieve your own life and the people around you. I can hardly begin to imagine how Michael Bay sees his life. How important is color? Do you incorporate it from the inception of the story or once it’s illustrated do you go back and incorporate the color with fresh eyes? The color usually comes at the end of the process, though it does depend on the story too. For “New Year’s Day”, for example, I knew from the start I wanted to capture the sense of a day passing – the changing of lights and colors from early dawn to late evening. Usually though its something I only have vague plans about, keeping my fingers crossed that when the time comes I’ll be able to find a palette that works for a story. 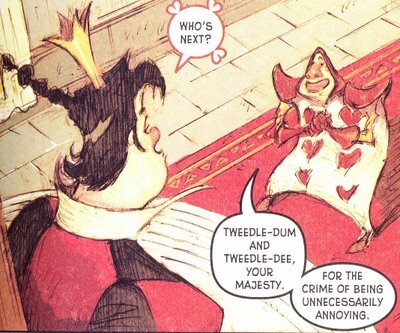 Working out the palettes for the Wonderland series was one of the more challenging and fun aspects of that project, and I still feel a bit sad that the decision to switch to matte paper for the hardcover trade meant losing a lot of intended look of that story. A bit like how Brian Bolland felt when he first saw the colors in the flashback sequences in the Killing Joke, I guess. I’m working on a graphic novel with Gene Yang (“American Born Chinese”) for First Second Books, featuring the origins story of an Asian- American Superhero. 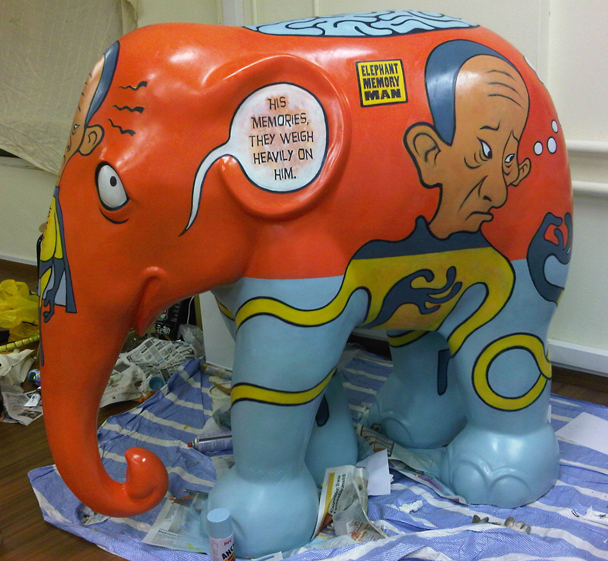 I recently completed a painting on a fibreglass elephant for the Singapore edition of the Elephant Parade, where the elephants get auctioned off to raise funds for elephant conservation projects. There’s the Malinky Robot GN as mentioned. And I’m hoping to work on a series of paintings for a show at the end of the year, along with a couple of pending comics projects. I was very excited to get hold a copy of the new Jiro Taniguichi book “A Zoo in Winter” from Fanfare at SDCC. The last music album I really got into about was Bon Iver’s, which seems way too long ago. Looking forward to the new seasons of Walking Dead and Doctor Who, and Buffy still gets a lot of playtime on the DVD. I really liked X-Men: First Class, but the rest of the recent superhero ones have been a little disappointing. Sonny takes on Doctor Who! For more on Sonny, please check out his Malinky Robot Facebook Page and be sure to follow him on Twitter and he’ll be attending the Singapore Toy, Games and Comic Con (STGCC) on August 20-21 at booth G42 where he’ll have copies of his new book, The Malinky Robot. 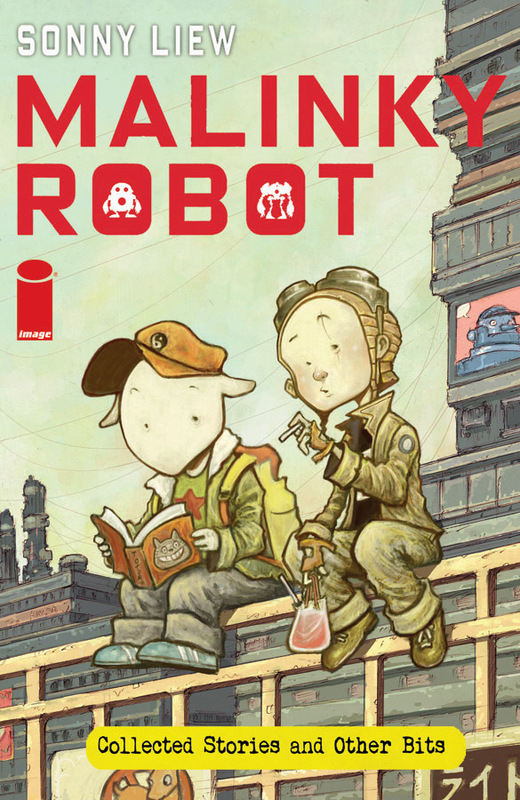 The Malinky Robot will be released on August 24th from Image Comics!